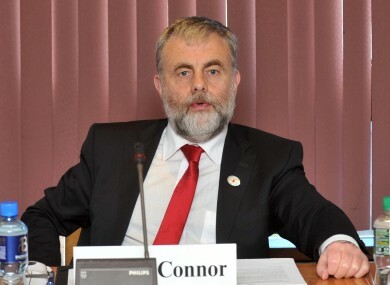 SIPTU has called for left wing movements to unite in ‘the task of building a New Republic’, saying that with such unity the “issue of the bank guarantee would probably not have arisen”. Speaking at the grave of Alicia Brady, who was killed in the 1913 lockout and buried 100 years ago today , Union President Jack O’Connor said it was time to “abandon the failed strategy of basing public policy on individual greed” which has existed since the 1910s. “This is glaringly obvious in the continuing denial of the legal right to collective bargaining in this Republic to this very day, despite the fact that it exists in virtually every other country in Europe,” he said. We have to have a more rational strategy than standing aside and allowing working people to be battered into the ground in the hope they would follow us as a result of the experience. The union boss added that with more unity on the left and a “more vigilant trade union movement… the unbridled free marketeering Progressive Democrats” could have been prevented from entering government. “The majority shareholding of Eircom, the ACC, the ICC and the TSB would never have been privatised and speculation would never have been incentivised while innovation was starved” he said. The oration was also attended by Alicia Brady’s niece, Brigid Taylor. Email “SIPTU: 'Unity on the left could have prevented the bank guarantee'”. Feedback on “SIPTU: 'Unity on the left could have prevented the bank guarantee'”.